"The Winner's Curse" surprised me. It was more than angst and bloody battles. Psychological warfare techniques are strengths for characters in this book. The heroine is not a superb fighter. She has a sharp mind for strategy. Her father, a General, is not one-dimensional either. He feels like a real military leader with many shades of gray. The relationship between slave (who wants to be free) and owner (who's ashamed of owning slaves) has its complications from the perspective of both sides and wreaks havoc, yet despite their backgrounds they find a delicate balance. It made me wonder how they will things work out if they became a couple. How will it all end? What will it look like? Since this is book 1 of a trilogy the answers have yet to be answered. 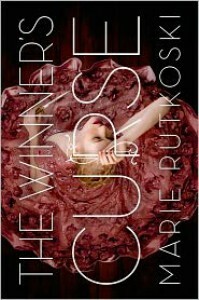 I won't go into detail about "The Winner's Curse" but between the cover is a meaty story that is very hard to put down.